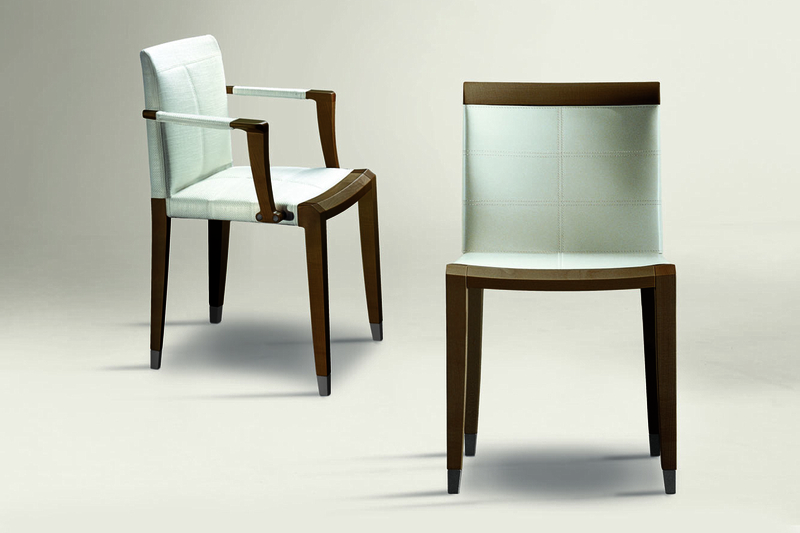 The Aro Cuoio chair is a stunning piece of furniture, designed in polished solid maple. 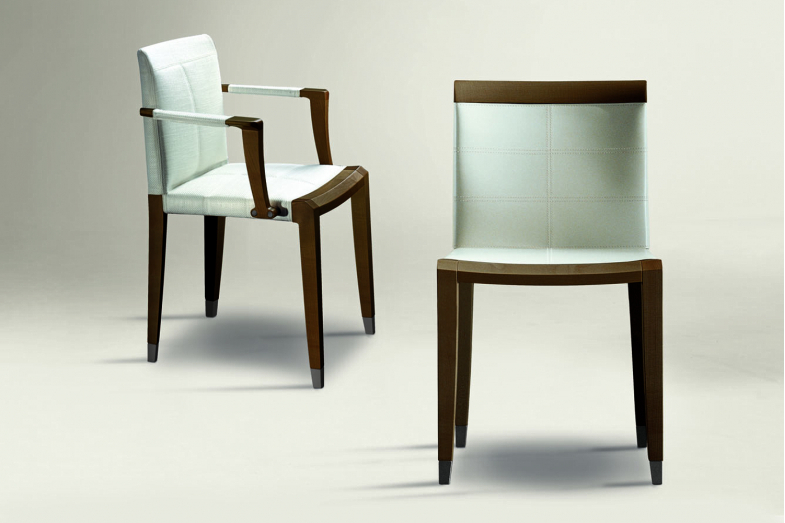 Also available in an armchair version, the seat and the back are upholstered with saddle leather in various colours. The foot-caps are in matt painted metal.